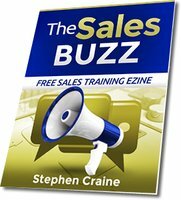 Open sales questions: If you just use the traditional open questions, as presented by many sales trainers, then you're missing out on great techniques that can help you to close more sales. who, what, where, when, or how. But there is a lot more than that for sales professionals to know. The more information you can get from your prospects, the more effective your sales presentation will be. To get that information you need good questioning skills to be able to gain specific knowledge about what the prospect wants, what they do now, what they want to do, and their goals and objectives related to what you sell. Even when selling the smallest, most day to day, products and services the more you know, and the more specific that information is the more sales you will close. Here is a technique that you can use to start each line of questioning the needs, wants, and desires of your prospects. 1. Start each line of questioning with an open question that gets the prospect talking. There are many more, but you get the idea. You want to ask a question that requires a sentence to answer. You’ve started with a wide open question that encourages your customer to talk and gives them a lot of scope to choose how they answer. Then you've given a bit more direction to the conversation with an open question.